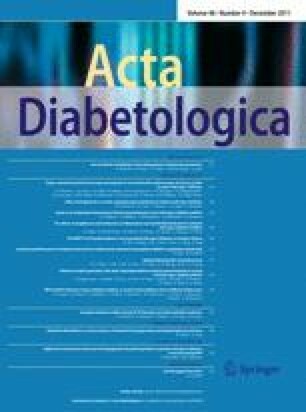 Viral infections and the metabolic syndrome may coexist in several individuals, due to the large prevalence of obesity and type 2 diabetes mellitus (T2DM). Antiviral therapy has changed the natural history of chronic viral hepatitis, but viral infection may remain undiagnosed in the absence of systematic screening. We determined the prevalence of HBV and/or HCV infection in an Italian cohort with T2DM (859 consecutive patients, 413 females) in three Italian centers: Turin, Bologna, and Naples. Screening for viral disease was coupled with the determination of parameters of metabolic syndrome. Fourteen patients were HBsAg-positive, 51 anti-HCV with a prevalence of genotype-1 infection in 58% of cases. Thirty cases had newly diagnosed viral markers, only one-third had already-diagnosed liver disease, 16 were being followed-up by a Liver Unit, and 9 cases had received antiviral treatment. Patients with viral markers had higher liver enzyme levels in comparison with virus-negative patients (P < 0.0001), whereas the prevalence of the metabolic syndrome was similar in the 2 groups. A positive correlation between BMI and alanine aminostransferase levels was only present in virus-negative cases, where the probability of enzyme levels above the upper limit of normal increased by 5% for unit of increase in BMI (OR: 1.05; 95% CI: 1.003–1.100, P = 0.037). In conclusion, the prevalence of HBV and HCV is non-negligible in patients with T2DM, but these cases may long remain undiagnosed. Elevated liver enzymes might be frequently disregarded in diabetes Units and ascribed to metabolic syndrome, thus excluding T2DM patients from specific disease-modifying antiviral treatment for hepatitis. An erratum to this article is available at http://dx.doi.org/10.1007/s00592-017-1032-8. Supported by a grant from Schering-Plough, Milan, Italy.